New York, NY-To play tennis successfully at a very high level, you need to master the mental and physical parts of this sport. Now, two top experts have joined forces to empower players to reach their potential by helping them with both the psychological and mechanical aspects of tennis. This comprehensive, personalized program includes these nineteen elements and some free bonuses. -Consultations With Parents, Coaches, Agents, etc. Who Are The Experts Who Have Created This Program? Lisa Dodson is a WTA (former) world ranked player in singles and doubles and a USPTA Certified Elite Professional. Blending her competitive sports background with 40 years of teaching experience makes her a unique and respected professional. She is an author and regular contributor to NY Tennis Magazine, UK Tennis Magazine and Planet Tennis and hosts Coaching Greatness, a weekly blog talk radio show. Lisa is also a (USPTA) national and independent international speaker and presenter. Lisa has coached players of every age and level including: WTA and ATP aspiring players and Division (1,2 & 3) College and National players. She excels with Juniors and works with ITF Circuit players, has been USTA Junior High Performance Coach, Intersectional and Zonal Coach and in USTA 10 & Under Division development. Lisa promotes a natural, kinesthetic approach to developing technique and believes that “feel” is the most powerful learning tool in sport. Her accelerated learning techniques bring out the best in each player and keeps them healthy, engaged and pain free. Dr. Granat has coached athletes from virtually every sport from around the world. His clients have included Olympic Gold Medalists, professional golfers, Division I athletes, tennis pros elite young competitors and national champions. A former university professor, Dr. Granat writes a weekly column for five newspapers and has appeared in many major media outlets including: Good Morning America, The New York Times, The BBC, The CBC, Sports Illustrated, The Wall Street Journal, USA Today, Sporting News, ESPN, The Newark Star Ledger, ESPN, Tennis Magazine, Tennis View Magazine, Iowa Golfer, Executive Golfer and The Bergen Record. Golf Digest named him one of America’s top ten mental gurus. Granat earned his Masters and Ph.D. in Counseling from The University of Michigan. He is the author of How To Get In The Zone And Stay In The Zone With Sport Psychology And Self-Hypnosis, How To Lower Your Golf Score, 101 Ways to Break A Hitting Slump, Zone Tennis, How To Get Into The Zone In Just One Minute, HowTo Have A Killer Serve With Sport Psychology, How To Throw More Strikes and Bedtime Stories For Young Athletes. Granat is particularly interested in the role that family relationships play in stress and in how they impact one’s ability to perform their best when under pressure. 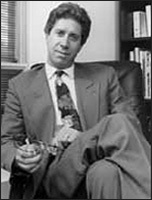 He is past Vice President of The New York Society For Ericksonian Psychotherapy And Hypnosis. He is a member of The American Counseling Association and The American Psychological Association. Lisa and Jay will examine every part of your game and show you exactly how your mind and body are working together or not working together. The will show you exactly what you need to do to improve and to reach your potential. Tired of losing to players you should beat? Great in practice? But struggle in tournaments? Want to make it on the tour? Hoping for a college scholarship? Sick of choking on pressure points? Making too many unforced errors? Want to find out how to get into the zone more often? Now, tennis players from around the world can take advantage of this program. Reach out to Lisa or Jay and they will answer all your questions, outline the kind of program you discuss all fees and costs involved. Or call him at 888 580-Zone.